As the winter sets in, we get ready to face it with room heaters, warm clothes, geysers. But all these external factors only help if our immune system is strong. This winter let’s get strong from within and keep all those winter blues at bay! Winters definitely toss our healthy habits, the chilly and unpleasant weather makes it very difficult to find the motivation to hit the gym or head outdoors for exercises. Moreover, the additional time spent indoors means many of us snack more than we would typically at other times of the year. This might result in weight gaining which sidelines all the efforts we make throughout the year to stay fit. Paras Sharma – Brand Manager of Indian Earth Foods shares some easy tips to give a boost to your immune system by these simple habits and adding some superfoods to your diet. The cold season tends to raise the cravings for more carbs and comfort foods. This happens because once you consume these delicious treats, your body releases a hormone called serotonin, making your brain think that you are happier. And as the day passes by, your carb cravings get stronger and stronger. To counter this, try eating a protein-rich breakfast to keep your energy levels up throughout the day. If by the time the afternoon comes in and you are still craving sweets or carbs, be sure to consume low-fat and healthy snacks on hand. Omega 3 fatty acids are a healthy type of fat that is naturally found in a variety of foods including fish, plant seeds and nuts. Omega 3 fatty acids are great for reducing joint pain as they have natural anti-inflammatory properties. It also helps reduce depression. They are the perfect superfood for winters. Fibers found in apples, oats, and nuts are important to decrease inflammation and boost the immune system. A fiber-rich diet helps reduce cholesterol levels in the body and helps overcome weight loss and protects against diabetes. This is very important for seniors who require a high-fiber diet to protect their digestive systems. WALNUTS– Walnuts are the richest source of antioxidants and omega 3 fatty acids. The most essential benefit of eating walnuts is that it reduces bad cholesterol and protects our cardiovascular system. Walnuts help in brain functions makes our bones strong and reduces the chances of gallstones. Walnuts also help to regulate sleep. PUMPKIN SEEDS– Pumpkin seeds are highly effective in boosting the immune system. They are recommended for those who are prone to infections. They are very effective in treating the effects of kidney stone, anemia, and prostate disorders. It also provides anti-inflammatory benefits for those with arthritis. Indian Earth offers you two variants of pumpkin seeds, roasted pumpkin seeds, and plain pumpkin seeds. Choose as per your desire as they are a perfect snack to munch this winter. FLAX SEEDS- Flaxseeds may provide anti-inflammatory benefits, protect your bones, and protect against heart disease, breast cancer, and diabetes. Consuming flaxseeds also helps in lowering blood pressure in men with high cholesterol. The roasted and salted flax seeds from Indian Earth are a great addition to your diet. CRANBERRIES- Cranberries include vitamins as C, B, E, K and minerals as iron, magnesium, calcium, and potassium. So off you go and buy some of the red vitamin bombs. Because cranberries are not easily available in India, we suggest you Indian Earth’s dried and unsweetened cranberries. They are a yummy yet healthy snack to have this winter. QUINOA- This superfood is naturally gluten-free and is also a very good source of calcium, magnesium, and manganese. It has a high level of several B vitamins, vitamin E and dietary fiber. If you are craving to munch something in winters you can make a number of healthy and tasty salads with quinoa for a feeling of fullness and stay healthy. 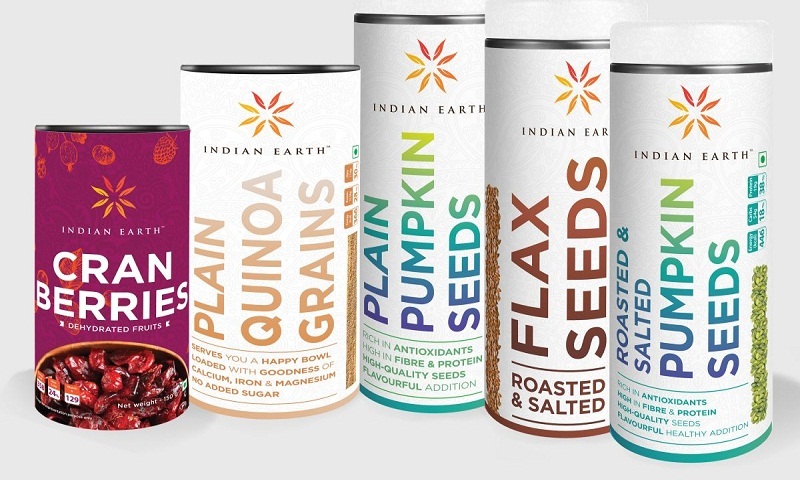 Plain quinoa grains from Indian Earth are a must try this winter.